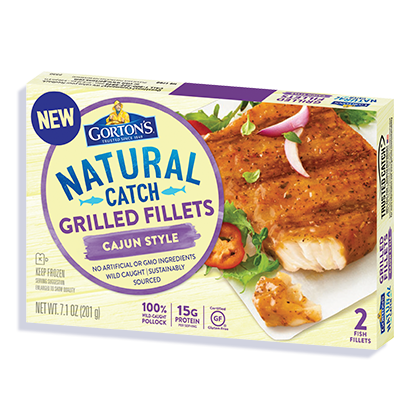 100% wild-caught fillets expertly seasoned with bold spices. We think high-quality ingredients are the only way to get that authentic Cajun flavor. That’s why we only use sustainably wild-caught fillets and a special blend of real herbs and spices for a great taste you can feel great about enjoying. Water, canola oil, salt, spices, corn starch, paprika, dehydrated garlic, dehydrated onion, whey.